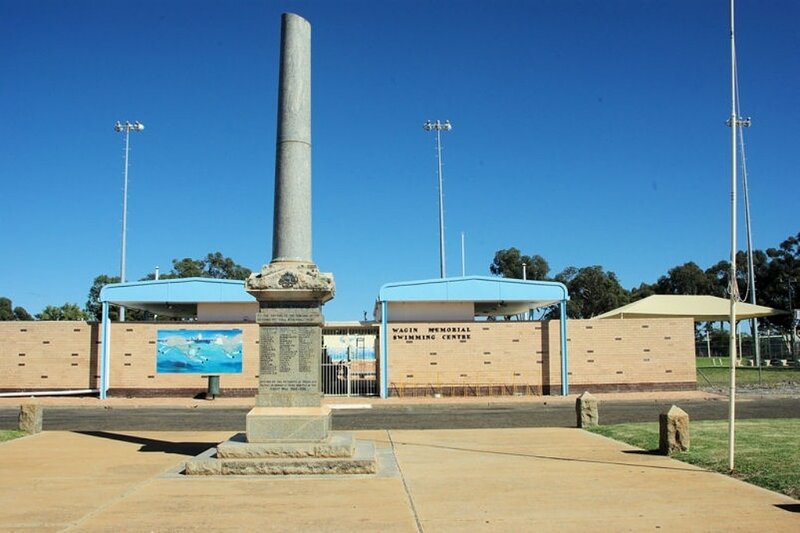 Wagin War Memorial is located between Trench Street and Trimdon Street. 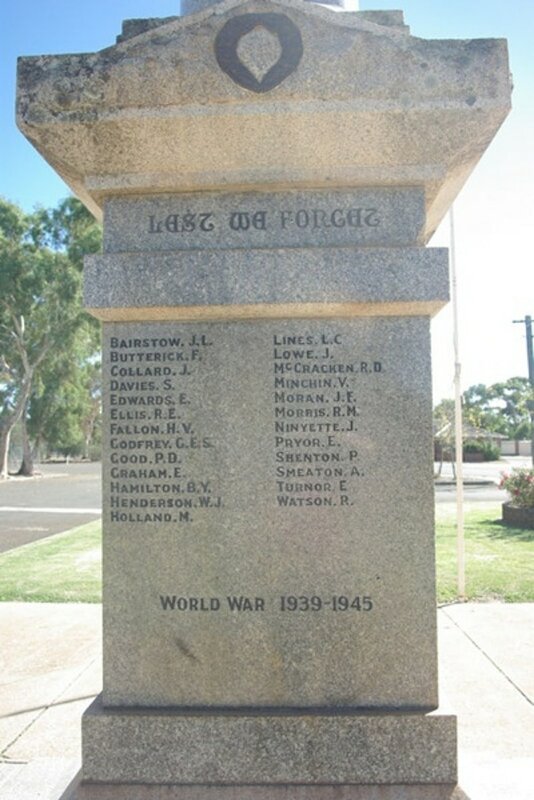 Erected by the residents of Wagin and District. 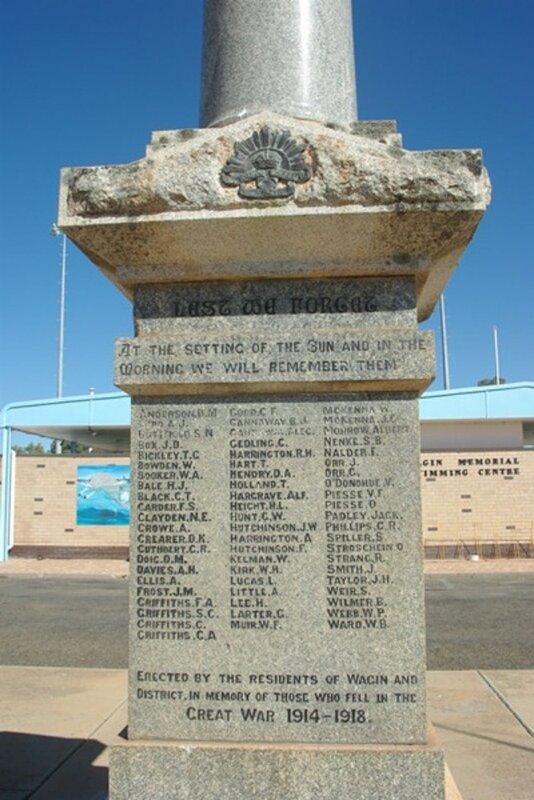 In memory of those who fell in the Great War 1914-1918. 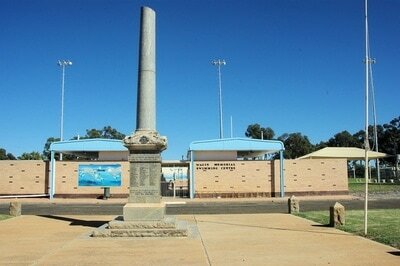 Note the whimsical swimming sheep and the sun screen lotion (lanolin based, of course).